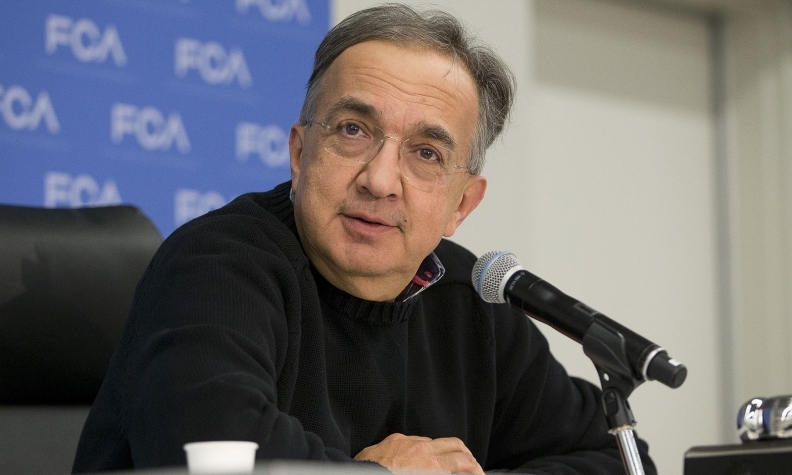 Marchionne confirmed on Monday at the Detroit auto show that he will retire at the end of 2018. DETROIT -- Fiat Chrysler Automobiles CEO Sergio Marchionne told Wall Street analysts that the company's chances of hitting 2018 financial targets are "significantly greater than 50 percent," according to a person present at the meeting. The financial targets from Fiat Chrysler's five-year plan ending in 2018 were initially set in 2014 and updated in January 2016. They include 136 billion euros ($144 billion) in revenue and adjusted net profit of between 4.7 billion euros and 5.5 billion euros. Fiat Chrysler had no comment on the remarks made by Marchionne at the analyst meeting on Wednesday. Last January, the company raised it targets for 2018, and also forecast adjusted operating profit of 8.7 billion to 9.8 billion euros, and adjusted operating margins of 6.4 percent to 7.2 percent. Many analysts expressed doubts about the company's ability to achieve the targets when they were set and then upgraded.